Beautiful dark purple leaves. 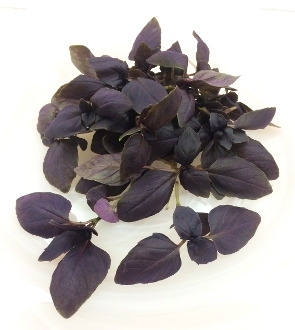 Fresh & intense basil taste. Great flavor & color addition for any plate. Create upscale Italian dishes by garnishing with this herb. Add freshness to tomato salads.